DQ Visual Basic Advisor And Weather Correspondent Garret Rempel sent me some information about how cold it was in Winnipeg this week. 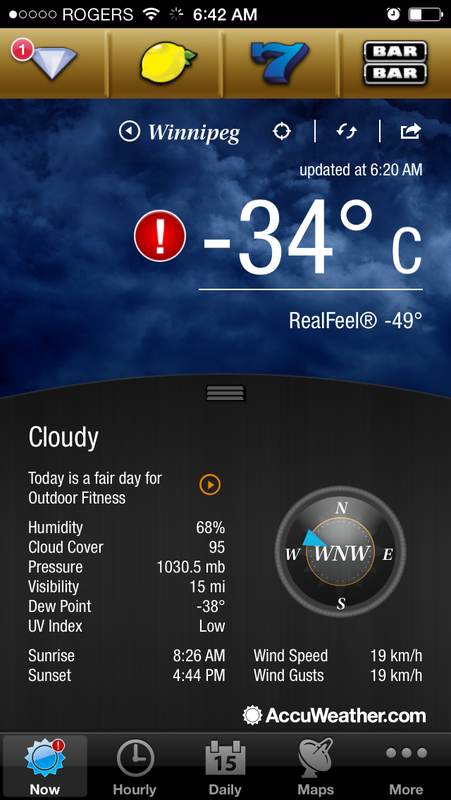 That temperature is the big headline item (plus, just below it "RealFeel -49"), but the best part is right below "Cloudy." There, it says "Today is a fair day for Outdoor Fitness." I have one question: how cold does it have to get to go from "Fair" to "Poor"? I had one coworker this week blow his transmission because he left his car outside and tried to drive before letting it warm up, thing was frozen solid. Another couldn't go anywhere because his tires were frozen to the ground. That's frost. 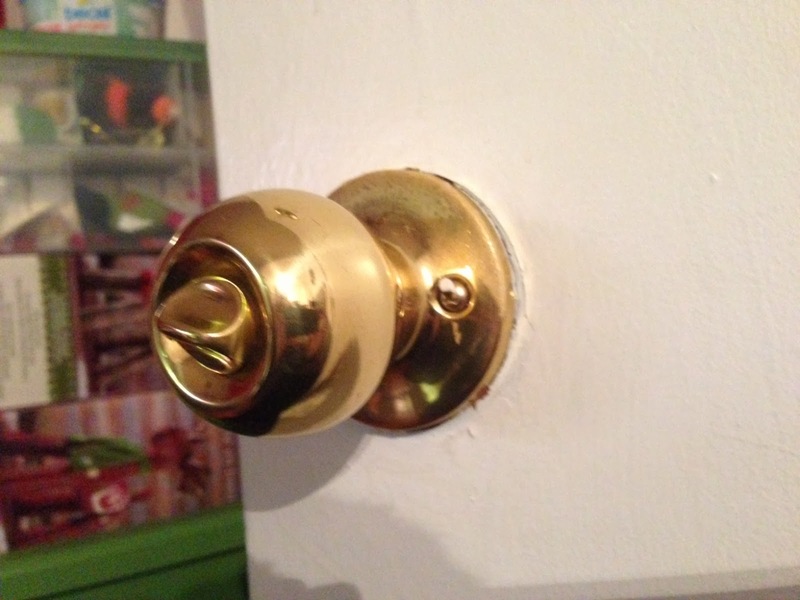 Wind blowing through the keyhole on the lock on the other side was so cold that it produced frost on an interior doorknob. Garret also walks 3 kilometers to work in this weather, so he definitely qualifies as The Badass Of January.